HyperQuant is an intelligent, decentralized platform for secure automated crypto investments based on smart contracts. It makes the investing and trading process simpler and more transparent for all market principals. Quant traders operate based on Quantitative Analysis which involves the development and implementation of complex mathematical models to make decisions about risk management, investments and pricing, and ultimately trading. All market participants on the HyperQuant platform — from minor crypto investors to professional capital managers, VCs and hedge-funds — will have access to a broad variety of intelligent solutions covering all aspects of crypto investment and crypto trading processes. This version includes an automated user’s investment portfolio manager. At the moment it supports parallel operation on 5 major crypto exchanges and with 5 most popular tokens. They have successfully redesigned a main workplace and launched a trading robot selection. There are 5 new strategies with the biggest profitability and they are being traded online right now! HyperQuant issues utility tokens to create an internal economy inside the platform ecosystem. HQ economy leads to transparent and fair relations between all platform users. By issuing HyperQuant (HQT), they offer all users a chance to become creators of a revolutionary platform, enabling them to efficiently manage their capital. 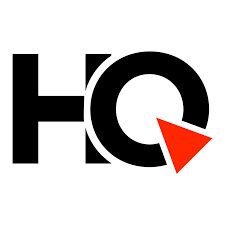 Every holder of the HQT Token will get different levels of access and available features of a solutions based on the HyperQuant platform. Level of access and available features of a particular product will be defined by the number of tokens in their possession. The HyperQuant team consists of 11 team members and 4 advisors. The founding team is made up of quant traders, IT professionals, and market analysts. According to CEO and co-founder Pavel Pavchenko, creating the HyperQuant platform was a direct result of the team’s combined experience. Pavchenko himself has more than 14 years’ experience as a successful trader. He has worked in investment companies as an independent quantitative trader, managed a large hedge fund and even took part in the creation of Russia’s second largest stock exchange. When developing AI systems, aspiring entrepreneurs rarely consider the potential difficulties arising on a real market, especially when their systems need to be scaled. The algorithmic trading vitally requires a correctly built infrastructure for easy access to the exchange systems. This influences both the speed of receiving information online and the routing of the market orders flow to the exchanges. 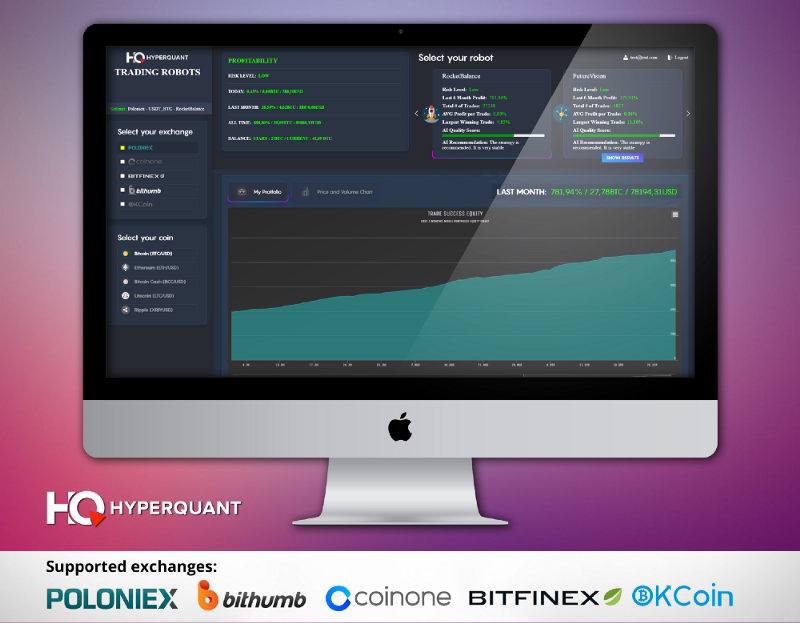 · HyperQuant offers a united interface for receiving and unifying the information gathered from all cryptocurrency exchanges. · Moreover, the request transfer protocol, developed by HyperQuant (HQ-FOT protocol — the counterpart of FIX/FAST protocols), allows to speed up the transfer of market orders in exchange systems by up to 10 times. · HyperQuant platform automatically balances and sorts out the flow of orders on crypto-exchanges thus stabilizing the pressure on them. · The utilized quoting strategies allow to boost the exchange positions many time over without causing sudden rate fluctuations. · With these operations HyperQuant platform deals with the main activity load, allowing the central AI to focus only on its primary function — transferring the profitable signals to the user. Cutting-edge AI-based technologies are rapidly evolving and flourishing these days. It is going to be the next “Big Thing”, a new trillion dollar industry. But at HyperQuant they are not just developing yet another smart algorithm or a neural network, they are building a huge platform, a future home for thousands of AI-based systems. The HyperQuant team announced on May 17th that it was going to launch ICO in June of this year. You can JOIN whitelist here. They will announce the official start date of its ICO soon.